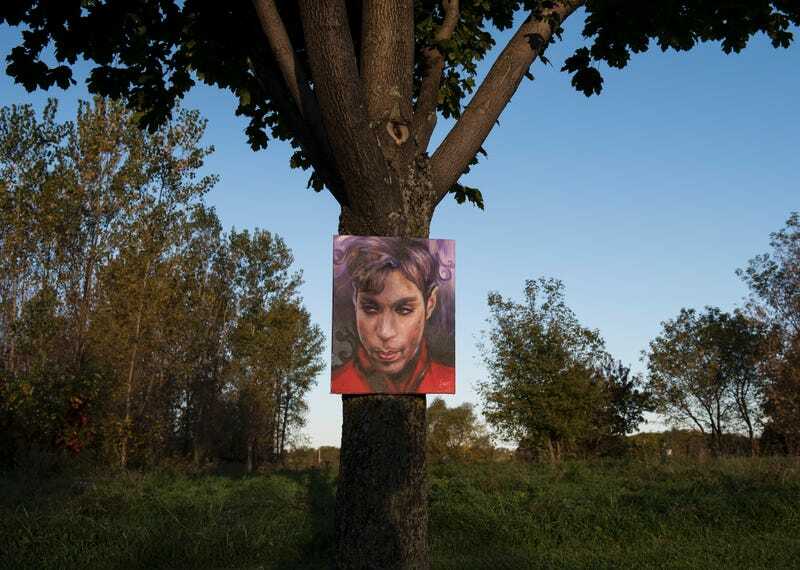 A portrait of Prince by artist Daniel Lacey hangs outside Paisley Park in Chanhassen, Minn., on Oct. 6, 2016, the first day his estate opened to the public as a museum. Visitors to Prince's Paisley Park studio estate in Chanhassen, Minn., probably didn't expect to see an urn filled with the singer's ashes when the estate officially opened up as a museum Thursday. But that's exactly what they saw. According to Billboard, Prince's remains are being stored in a custom-made urn designed by his sister and nephew and made by Foreverence, a company that specializes in uniquely designed urns. "The artist's sister and nephew, Tyka and President Nelson, collaborated with Foreverence artists and craftspeople on an original concept that symbolized the Prince's home, recording studio, and sanctuary," a press release obtained by The Current reads. "Made of ceramic and glass and measuring 19 inches by 18 inches by 14 inches, the urn features several distinctive elements that reflect the artist's personality. Tyka Nelson hand‐selected seven iridescent crystals—representing the artist’s favorite number—to be part of the urn design and placed the final jewel in the piece herself. The urn opens up to reveal lighting and scale‐model details from Paisley Park, including the main atrium, Prince's famous purple Yamaha piano, and white ornamental doves." Unfortunately, unless you make a visit to Paisley Park, you'll never get to see the urn because photos are prohibited.